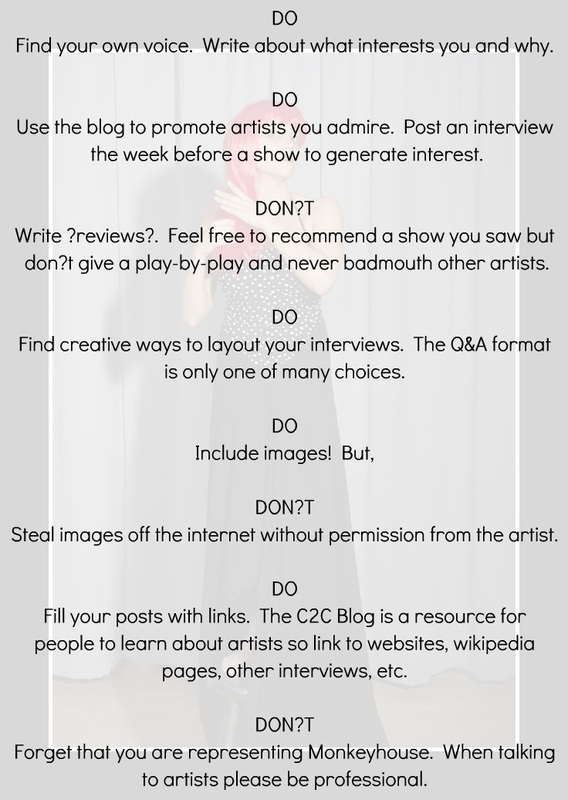 Check out interview tips from Gaby the Intern and Eva Yaa Asantewaa! Who are these Monkeyhouse people and what do they do?! When contacting artists you want to make sure they understand what you are asking them. Fill in information about yourself, why you have chosen this artist and the best way to contact you. Finished your interview but want to take it one step further? Why not check out the Wicked Awesome Wikipedia Choreographers Campaign! How do I contact those Monkeyhouse people?! Also, don't forget the Google Doc is filled with information!